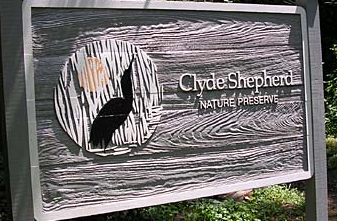 Dear MANA members - we are very fortunate to have a special natural space, Clyde Shepherd Nature Preserve, in our neighborhood. The summer of rain has taken its toll on the preserve and it needs our help to clean up the trails. Please join us on Sat 10/19 from 9 am -noon to clear brush and haul away debris. CSNP staff will be on hand to oversee the work and provide all needed tools - we just need YOU to show up ready to work! The CSNP annual fall festival will be the following weekend, on 10/26 so you will be able to enjoy the fruits of your labors and join your neighbors in celebrating fall. MANA will provide coffee, water & snacks - to help, please RSVP to csybdr@yahoo.com. Hope to see you there!